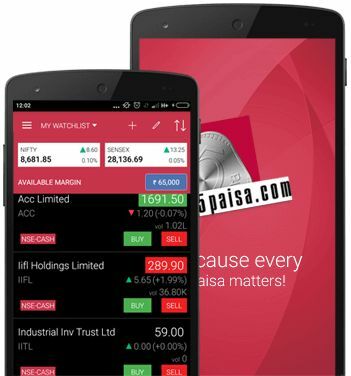 5Paisa App is one of the well-designed mobile trading apps in the Indian stockbroking space. The broker provides multiple trading and investment platforms including an algorithm based investment engine. In this review, we will do a quick background check, have a look at the features provided before jumping into the pros and cons of using this mobile app for your trading. 5Paisa is most likely one of the underdog discount stockbrokers in India. At ₹10 brokerage for each executed order, it offers decent trading platforms to go along with reasonable customer service. One of those trading applications is their mobile app. 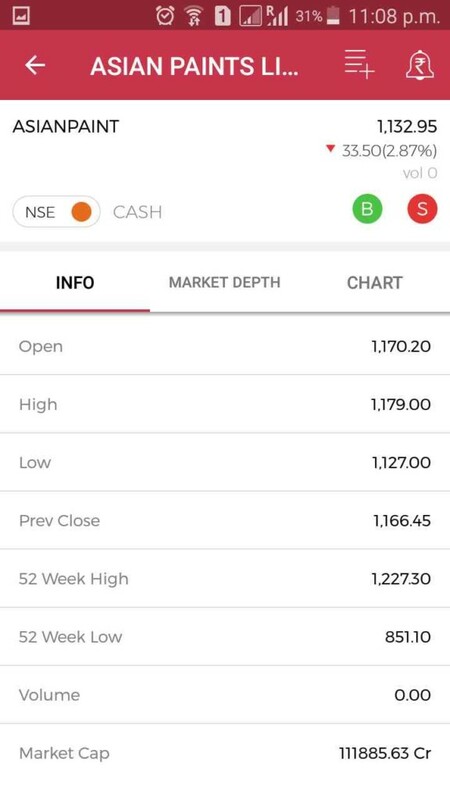 The 5Paisa app allows users to trade and to invest in equity, currency trading to go along with mutual funds investments across BSE (Bombay Stock Exchange) and NSE (National Stock Exchange). Backed by India Infoline (IIFL), 5Paisa updates its mobile app on a regular basis, somewhere around in the gap range of 3-4 weeks. Let’s see what different features users are able to access using this mobile trading app from 5Paisa. As users logs into the application, a basic dashboard is displayed with information on indices, market movements of few stocks, options to move to investment management around mutual funds and insurance. 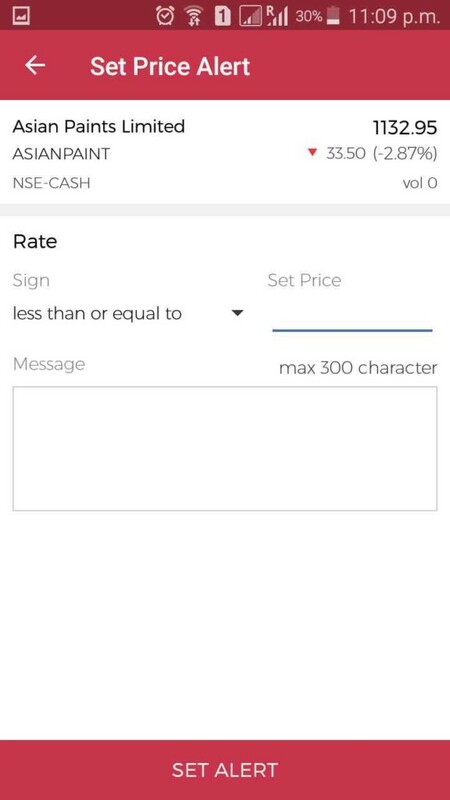 To get information on specific stocks, the user just needs to enter the scrip name (few characters) in this 5Paisa mobile app and based on that, information including basic info, charts, company background etc gets displayed. 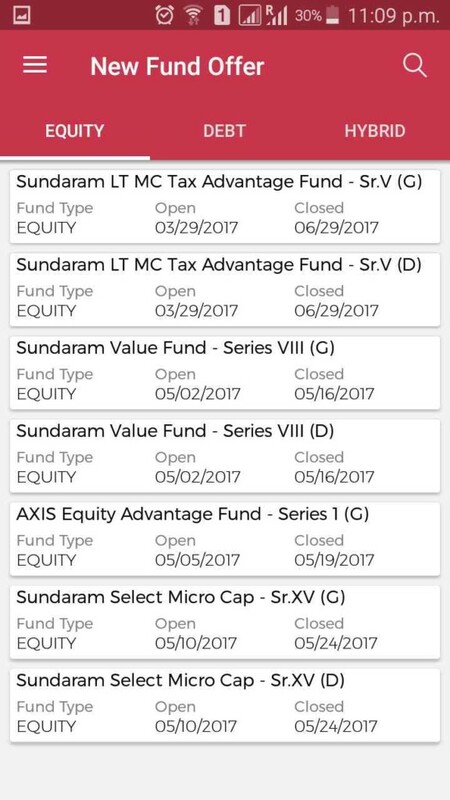 Users get the provision to browse across multiple mutual funds and then take a decision to invest in a particular SIP within the app. The ‘5Paisa Auto Investor‘ feature takes in user inputs in terms of demographic information, risk appetite, income etc. and correspondingly suggests few mutual funds specifically based on the user information, thus, helps users build a personalized investment portfolio. 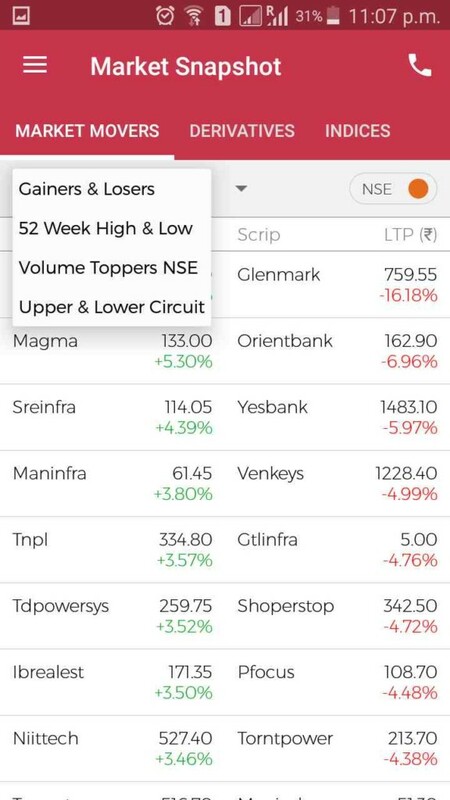 With a single tap, users can get a quick understanding of the market movers, gainers, losers for the last 1 year or so in this 5Paisa app. Users have the provision to add scrips into watchlists as per requirements. 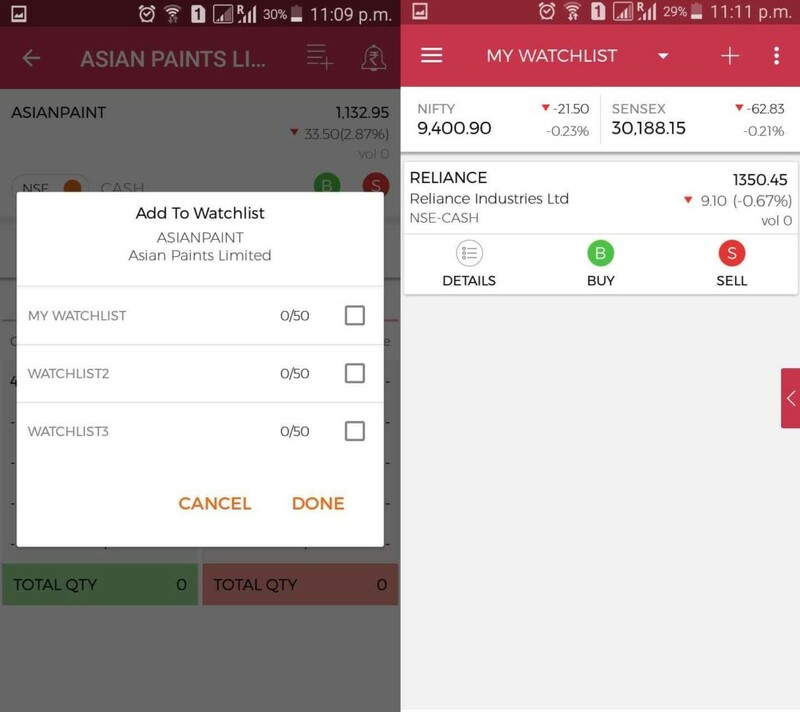 Each watchlist can accommodate 50 such scrips and users can add up to 3 watchlists as per preferences. 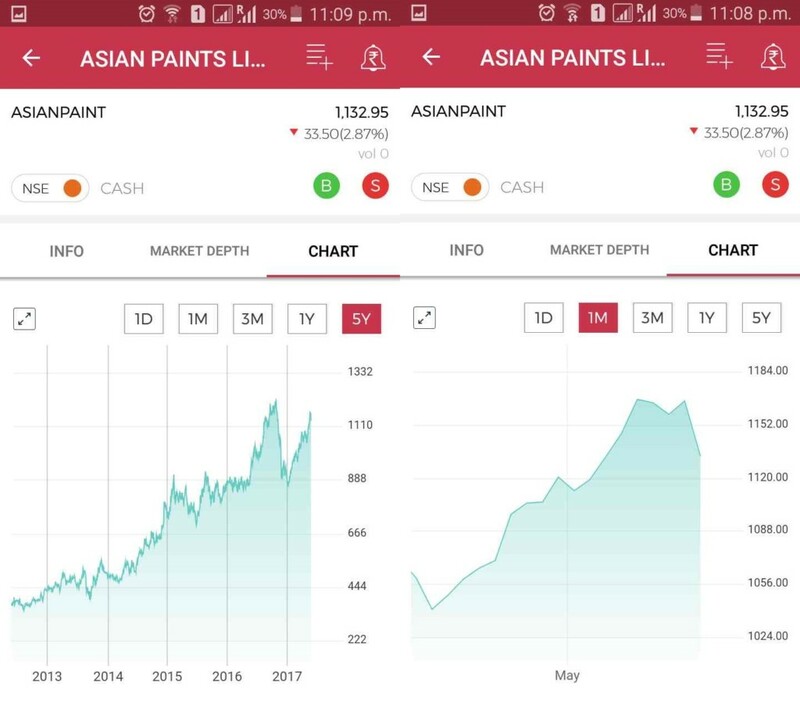 The 5Paisa mobile app offers multiple technical and fundamental analysis features with different chart types, technical indicators to go along with heat maps for quick judgments. Furthermore talking about other investment options, users may choose to opt for a specific insurance plan out of Health, Life or Vehicle insurance. The app shows multiple options for users to choose from and users can place an order from within the app itself. Loading of Charts may take some time intermittently. There have been other versions of mobile apps from 5Paisa in the past that performed at an average level. Although this one has got a much better response it still has to prove itself over a period of time. You are not allowed to trade in the commodity segment. This mobile app from 5Paisa comes with 256-bit SSL encryption, thus, providing an extra layer of security of user data. The app offers a free guest login for users who are looking to get an idea of the user experience and performance of the application. In case you are looking to have a personal demonstration of this mobile app, you can get in touch with the broker or let us know. A demo of the mobile app will be arranged for you. The mobile app is known for decent speed in order execution and overall performance. 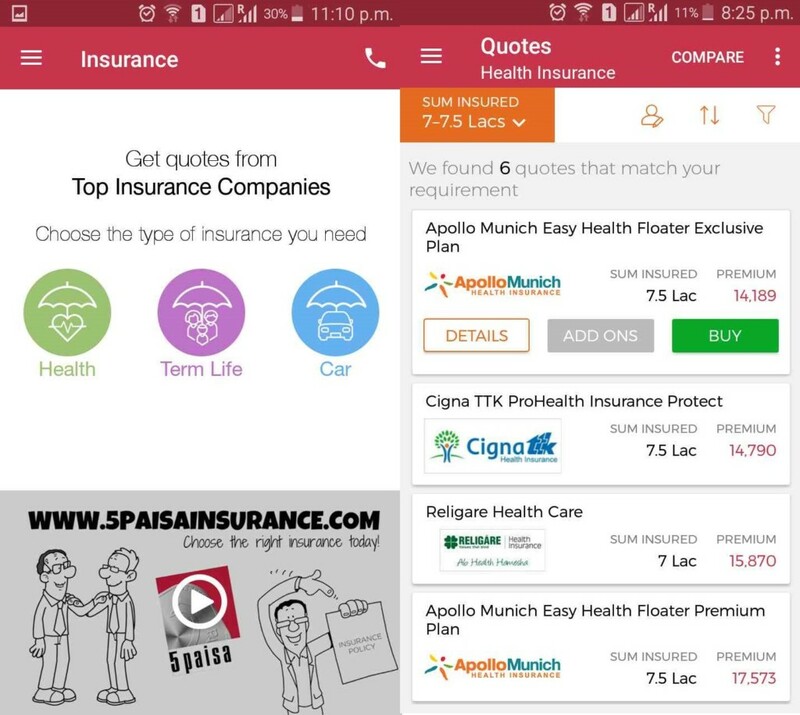 5Paisa App allows users to personalize and customize the mobile app as per preferences including background settings, alerts, and notifications. 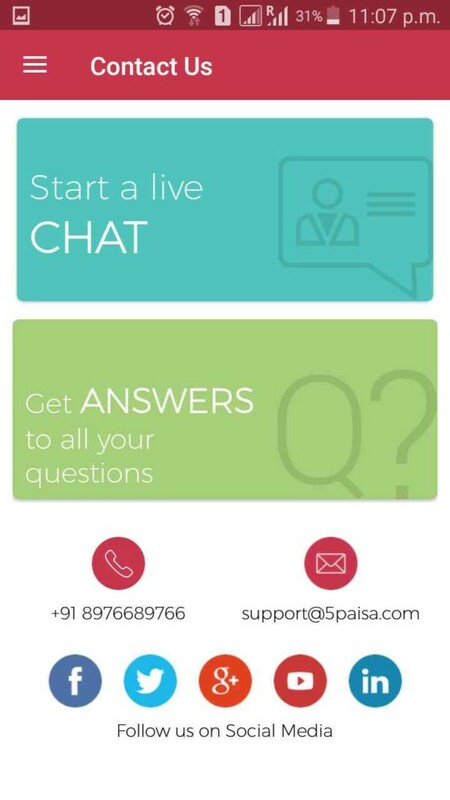 The 5Paisa app allows users direct access to multiple customer care communication channels including chatting and phone calls so that users looking for quick information to get their resolutions as soon as possible. 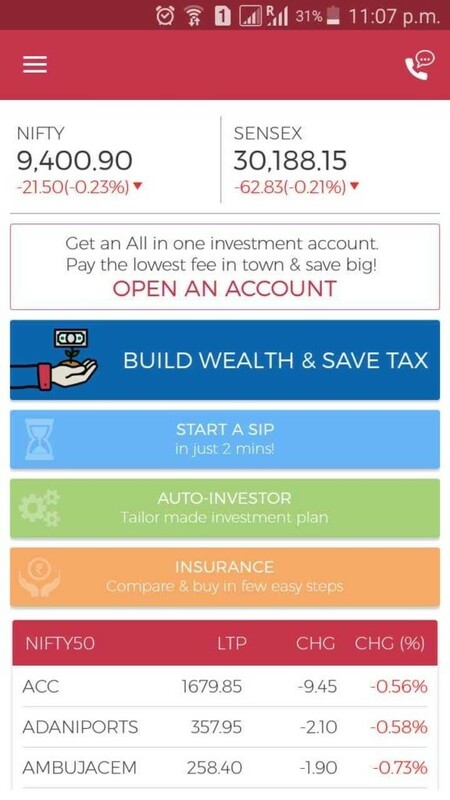 Furthermore, depending on the fact that whether you are a long-term investor or a short-term trader, there are a couple of research-oriented provisions in this app namely Smart Investor and Smart Trader. As the name says, these features provide you calls or fundamental research based on which feature you subscribe to. Both these features are paid in nature but as per the claims of the broker, provide exhaustive tips regularly. With this, we would like to wrap up the review on 5Paisa App. The app suits well to beginner and intermediate level traders due to its optimal user experience, ease of use and high performance. The usability of the app is pretty reasonable and the overall design helps traders (especially beginners) to understand how things work. For example, if you look at the dashboard screen, where you land up post login, you will find that the screen is modularized in such a way that it is very easy for you to figure out what next step you would like to take. Nonetheless, the app needs to still put in some ground for expert level traders for the simple reason that they look for exhaustiveness in features including stock market analysis and market depth. Interested in Opening an account to start trading in the stock market?